The Indonesian Visual Art Archive (IVAA) was a must-do on our list, as it’s pretty well-known (plus P had an obscure Indonesian art point to research). 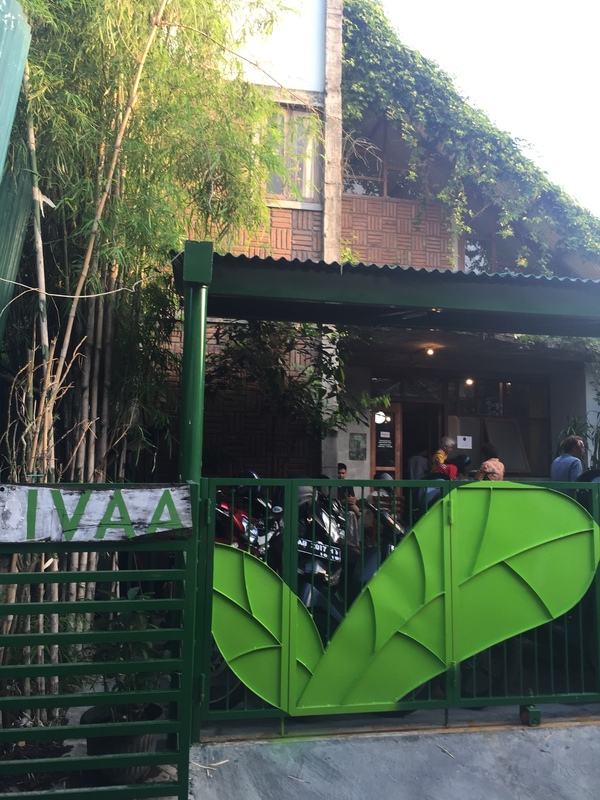 IVAA is primarily a resource centre with books available for loan, but occasionally hosts art events too. A short e-mail exchange with the lovely folks who run the place, led to an invitation to attend the launch of artist Robert Jelinek’s latest project, a booklet entitled “Indo Visions” featuring interviews with 3 Indonesians – Iswanti Suparma, a political and women’s rights activist, Daniel Alamsjah the owner of the Borobudur “chicken church” and Martinus Indra Hermawan, a key member of the noise music collective, Jogja Noise Bombing. 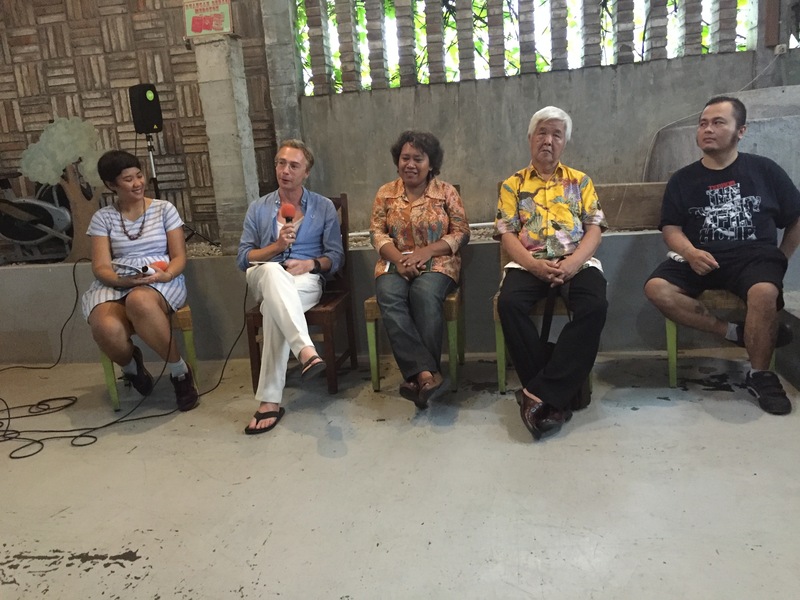 At the IVAA launch, Jelinek sat down with his interviewees and presented a summary of their stories, while telling us a little about his motivations in producing the work. The “Indo Visions” booklet that emerged from this project is a fascinating read (drop us a note if you’d like to see it and we’ll find a way to get it to you). Daniel Alamsjah, for example refers to his “chicken church” as a “prayer house” or “rumah doa khema” because it is testament to his faith that holy intervention assisted him at every juncture when constructing the building. 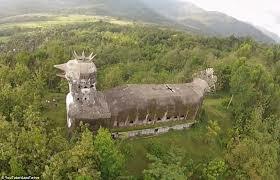 The “chicken church” is routinely listed as one of the most bizzare buildings in the world and has close links with Alamsjah’s other project, a rehabilitation facility (the “Panti Rehabilitasi Betesda”) for drug addicts, children with disabilities, the mentally ill and disturbed youth. Alamsjah claims in the booklet that the church was built with nothing more than assistance from the villagers of Desa Gombong village, and that these villagers were essentially paid in “food and cigarettes” for their efforts. While the building is called the “chicken” church, Alamsjah contends that he was really inspired by the images of doves and pigeons. It remains to this day, a popular Javanese tourist attraction. The Borobudur “Chicken Church” – Definitely something to visit once you’re done with all those Javanese temples. What is also worth noting about Jelinek’s interviews in “Indo Visions”, is the sensitivity expressed towards his subjects. The questions raised by the artist are informed and perceptive – the depth of his local knowledge is as impressive as it is surprising, given his relatively short 3-month stint in Indonesia. His line of questioning is focused, respectful and clearly reflects his intense research into the minutiae of Indonesian society. After the panel discussion at IVAA, we were treated to a live performance of noise music (hands up , who’s heard of it?). We certainly hadn’t, and it was a real education. Curious to see what this is all about? I’ll be honest, my initial reaction was stunned silence. Was this meant to be art? This cacophony of destroyed sound, and even worse, the documentation of it by Jelinek in a booklet? How is a written booklet, art, anyway? Isn’t that just a book? Why was everyone listening so closely? Why was this American dude in such a frenzy? Why was he in Jogja? Why were people even filming this? More importantly, if this was meant to be art, had I made a terrible mistake by packing in the day job for an art history degree?!! Once the panic subsided, I took a step back. The fundamental question here really is, what is good art anyway? Leo Tolstoy (yes, he of War and Peace), has a theory that “the activity of art is based on the fact that a man, receiving through his sense of hearing or sight another man’s expression of feeling, is capable of experiencing the emotion which moved the man who expressed it”. Coming back to what “art” is, I’d take these definitions to mean that good art provokes thought through aesthetic rendering, and successfully communicates the feelings of the artist in producing the work. There are of course, many other definitions out there, but I rather like this one and I think I’ll stick with it for now. (There is of course the art market, and how that places monetary value on works, but that’s a post for another time). 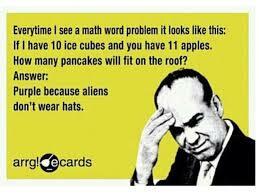 Applied to our noise musician friends, a clearer picture starts to emerge. Sure, if you count horrified fascination as enjoyment (especially the bit where the artist appears to burn himself over and over again on hot wires). Did P, L and I have long and fervid discussions about it? And that’s where I like to think the line between what is art, and what is not, comes into clearer relief. You don’t have to like it, or understand it but if it provokes thought, discussion and reflection, then surely that’s more than half the job done? I personally also like to see effort – whether it’s conceptual, or in the execution of the work. Work that does not display technical or physical complexity, and which is not explained in concept either, tends to leaves me cold. Mark Rothko for example, I know moves people to tears with his overwhelming use of colour, but in the absence of any explanation on the concept behind the work, his paintings are essentially giant squarish blocks – to me anyway. And that’s really what it’s about isn’t it? Like literature and music (yes, even noise music! ); art is fundamentally subjective because it is the personal expression of one person (the artist), being received and interpreted by another person (the viewer). The imposition of objective standards is almost counter-intuitive to a process which is, at its very core, a personal dialogue. Put another way, unless you’re buying art for investment purposes, what does it really matter if the art is “good”? We all like what we like, and there’s absolutely nothing wrong with being honest about that, because that’s the very point of looking at a piece of art. To go back to my personal preference to see effort, I think that effort is abundantly present in Jelinek’s work. I see it in the time taken by him, as an outsider, to research and collect these curious stories, in order to weave together a nuanced and sensitive picture of Indonesian society. I see it in the determination of each of his interviewees, towards developing their own forms of self- expression, while trying to lead meaningful lives (be it through rehabilitation, political activism, or alternative musical forms). I see it in the struggle of Jelinek, an artist dedicated to “offering a bold alternative to the established practices and solutions of the conventional culture industry”. I see it in Jelinek’s attempt to go against the norm to produce something weird and wonderful, and yet intensely personal. Most of all, I saw it in the IVAA group discussion on the work, when a disparate bunch of people came together in a safe environment to listen to and try to visualise and understand, life experiences which were far removed from their own. I certainly see it in the passionate debates P, L and I still have to this day – almost a month after the fact- about what makes good art, and whether a noisy man burning himself repeatedly, counts as such. And really, if that’s not art, I’m not sure what is.